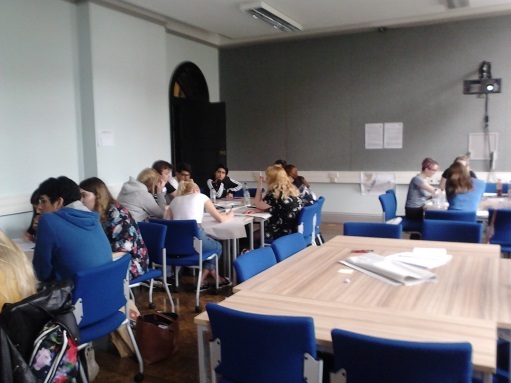 In the biggest-ever event on campus, The University of Manchester ran the ‘Sustainability Challenge’ for its 8,200 first-year undergraduates, encouraging students to realise their tremendous role in the University’s social responsibility agenda. I helped facilitate the challenge and think that there are broader lessons for universities’ public engagement to be learned from this experience. The Sustainability Challenge’s premise is that the University of Manchester’s undergraduates morph into members of staff at the fictitious ‘University of Millchester’. Diverse teams, deliberately mixing civil engineers and sociologists, medics and mathematicians, are tasked with developing a ‘Campus East’ which meets fiduciary obligations, but also complies with a hard carbon cap. Each option, for teaching and learning or accommodation, energy or transport, comes with social, economic and environmental advantages and disadvantages, the magnitude and constellations of which are based on research conducted at The University of Manchester. For instance, choosing the high-cost energy option will improve the campus’s carbon footprint, but also eat into the budget significantly. By contrast, choosing high-cost teaching and learning leaves little money for accommodation. Yet maybe the corporate sponsorship offers from a fast food chain or an oil company could offer budgetary respite? It was a privilege and a joy to be part of the Sustainability Challenge, with far more staff than just the 160 facilitators contributing to the research, preparation and implementation of the Challenge. The six student teams I got to meet were as enthusiastic in choosing their group names – Prestigious Innovative Food Ninjas Ltd., Green Queens and The Sustainables come to mind – as they were in devising and defending their diverse visions for Campus East: one team saw no issue with enlisting the corporate support of the oil company, as long as they spent the extra money on high-quality teaching and learning and offsetting carbon emissions. Others considered all sponsorship a sell-out. One team devised an eco-science park only generating minimal carbon emissions. All sought to create benefits for Campus East’s surrounding community. 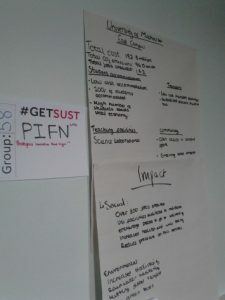 The activity not only impressed students in terms of the University sparing no resources to put #GetSust into practice. 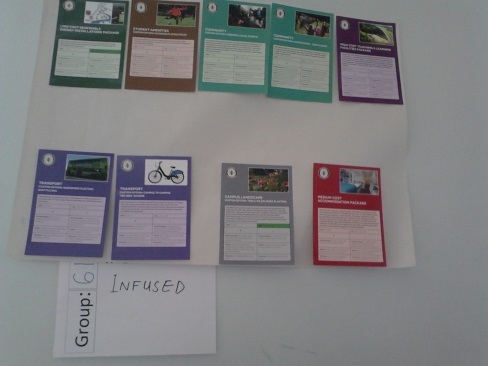 They got to realise that sustainability has many facets and interpretations, which require diverse skills and have to be negotiated with various interest groups. And they experienced that every individual has a part to play in social responsibility and sustainability – an insight which I hope they will take into their studies and into their future positions of responsibility in public sector, business and civil society, where each of their choices will have impacts on social, economic and environmental sustainability. Emphasising the complex nature of sustainability, but also the imperative it constitutes for everybody is where the Challenge in my view offers broader lessons for the way universities engage with stakeholders and the public. Given a widespread discontent with ‘experts’ in public discourse, there is much work to be done by universities to allay suspicions of Ivory Towers unrelated, and unsympathetic, to what goes on around them. Equally, there is a need to make clear how the work of universities, through research and teaching, entails benefits for all of society despite high tuition fees and often inaccessible research outputs. What the Sustainability Challenge teaches, in my view, is firstly that it is imperative, and fun, to make research accessible, through a game, a challenge, or an engaging activity which makes palpable the outputs of research funding, and will stay with the participants for a long time to come. Secondly, building on the contact hypothesis, institutes of learning have a chance, nay an obligation, to bring together people who may never have met otherwise, offering them a space to discover and engage with each others’ diverse foci, viewpoints and motivations. Finally, setting a clear task which can only be solved through collaboration sets free surprising abilities to cooperate, innovate and trust in the jointly produced solutions which no one could have devised alone. I think we can go even further in terms of the Sustainability Challenge’s learning potential: I hope that future Sustainability Challenges, at Manchester and elsewhere, will not only issue an invitation to on-campus students, but use a question, format and implementation which is accessible and relevant far beyond one university or city. Evidently, there is no doubt that finding a question of interest locally and globally, a viable format, and the resources for preparation and implementation would no doubt be a mammoth Sustainability Challenge requiring collaboration beyond any one actor. However, an even greater Sustainability Challenge would be introducing societal benefits and sustainability awareness even more systematically into universities’ fabric than Manchester has already done. Examples could be placing social, economic and environmental sustainability at the heart of all curricula, making stakeholder and public engagement a compulsory element of undergraduate, postgraduate and PhD programmes, or requiring research outputs to be accompanied by jargon-free ‘accessible’ summaries. Yet in my view, given the grand challenges of our time, the key role universities play in addressing them and the fundamental need to rethink universities’ responsibility towards society, the question is whether we can afford not to tackle this greatest ‘Sustainability Challenge’.